‘No… 150 rupees’, said the rickshaw driver as I offered my bundle of scruffy notes. ‘No. We agreed 50!’ I realized straight away I was being ripped off. There’s no way he could have known whether my bundle was 50, 150 or even 1050; the notes were all rolled up and their value was imperceptible. ‘You said fifty. You take that, or you get ZEROOOOOO!‘ I reinforced the message by making the sign of a zero with my hand. He looked at me, not so much shocked, but perplexed at my over-the-top reaction. 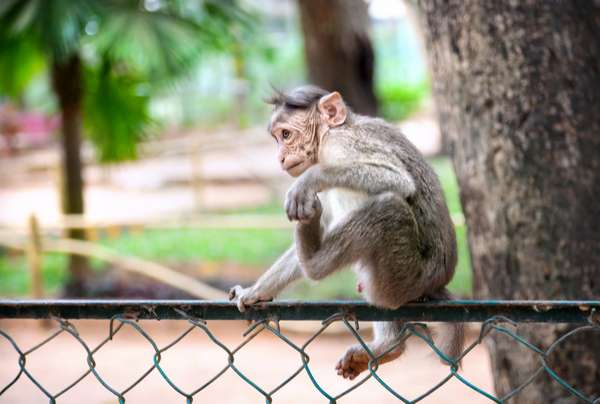 We were still 20km from Bannerghatta National Park and here I was acting like a resident monkey, not a visitor. I handed the scam-artist the 50, gave him “the” look, apologized to Lauren for my outburst. We then continued on our journey to meet my cousins (who I’d just realized were closer than I previously thought). Bannerghatta National Park is a half zoo, half safari, and not much of a national park. But I knew that from reading write-ups and reviews. I wanted to go somewhere, and without packing night clothes, this appeared the best option for a day activity in Bangalore. Interestingly, I soon learned that this was going to become an epic adventure of the Bannerghatta National Park. The Park is 22km south of Bangalore and takes about an hour to find from the central bus terminus. It contains a regular zoo, with an especially impressive variety of reptiles, an enclosed safari circuit, and a butterfly park. I was especially interested in the safari, which promised up-close encounters with lions and tigers and bears. 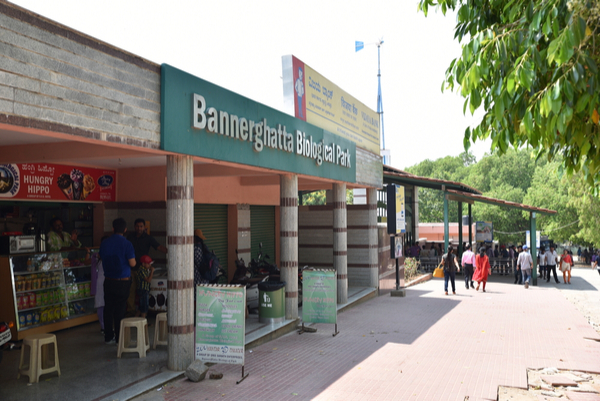 Some of the reviews of Bannerghatta National Park were quite negative. People suggested the zoo just plain ‘sucked’. Some suggested the animals weren’t kept well. And others used their reviews as another channel to attack the government. But there were many glowing reviews that spoke of a ‘fun day out’ and ‘getting very close to big cats.’ I’ve learned to read reviews with caution, and made the decision to have a look for myself. If it were an exercise in animal cruelty (above your average zoo), I promised to be especially vocal. Remember, this isn’t a real safari in open country with open-topped Jeeps. This is an enclosed safari; an extension of the zoo. It involves travel in old half-wrecked buses and lasts about half an hour. 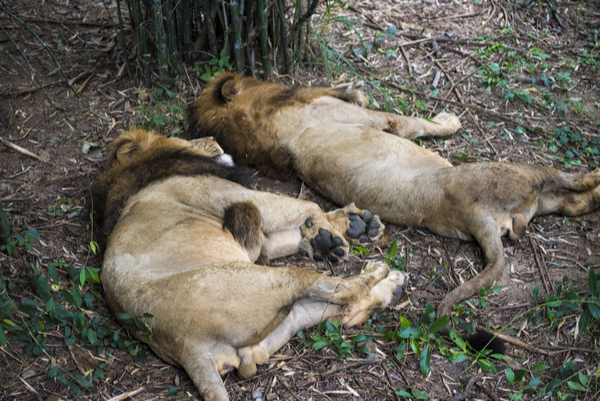 It is also a fraction of the cost of other safaris. 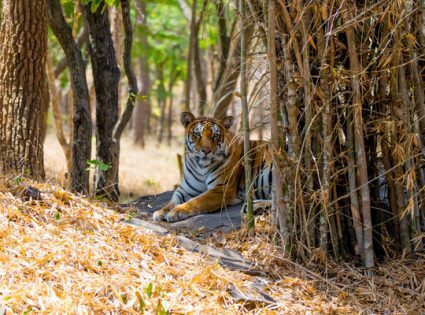 If you travel further south, you’ll have to spend 5000+ rupees per night for the chance to see tigers in the wild. Whereas the Bannerghatta National Park Grand Safari comes in at about 250 rupees, including zoo entrance. Quite simply, I loved it. They promised we’d see lions and tigers and bears, and we did. Put it this way, if you extended your arm as far out of the bus window as possible, you would definitely lose it. Sure, some of the animals looked a little agitated but looked right at home. For example, the younger lions were bouncing and bounding around the grounds, completely oblivious to our presence. Some of the reviews said the zoo was often overcrowded with visitors and therefore impossible to enjoy. We arrived on a Monday, presumably a quiet day, and thought the level of traffic was perfect. Some reviews reported lines for the safari of more than two-hours long, whereas we got aboard the first bus within 10 minutes. So if possible, definitely go on a weekday. The zoo wasn’t big on large animals; they seem to be kept in the safari section of Bannerghatta National Park. But the number of snakes was quite impressive, same as the exotic birds. Birds aren’t usually very exciting, but seeing a Great Hornbill up close is quite an experience. Their beaks are huge, their colors are vibrant, and they look quite intimidating, even through the thicker-than-usual chain wire. Despite my outburst at our rickshaw driver, the journey was quite enjoyable as it winded all the way to the south of Bangalore. We initially caught a rickshaw to Majestic station. 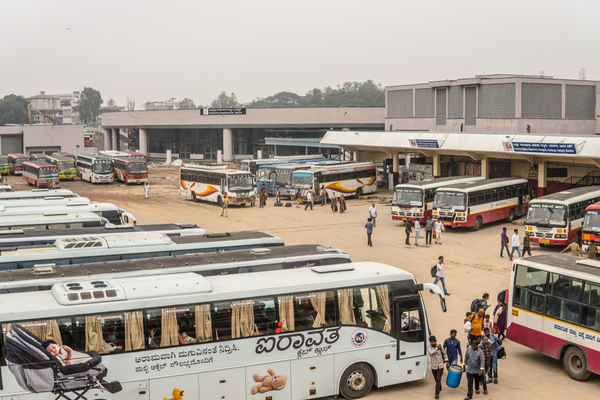 Then we hopped aboard the 365 Volvo bus on platform 4 heading to Bannerghatta National Park. The tickets are purchased on the bus for 45 rupees each, which is quite good for an hour-long air-conditioned bus ride. When you reach the final stop, you must walk down the road between the street markets and take a left to reach the ticket windows. The Majestic bus terminus is quite a spectacle. It is a sprawl of buses, almost as far as the eye can see, with not a single foreigner in site. At first, it was quite daunting, but typical of India, everyone was helpful and wanting to impart wisdom about the bus service to make things cheaper and easier. My only suggestion is if it gets a little overwhelming, just take a deep breath and ask the closest person next to you for directions.